Stevia (Stevia rebaudiana) is an herb native to Brazil and Paraguay. Today, it is grown on plantations around the world. Stevia's sweetness comes from naturally occurring glycosides. Its extract is produced from the plant's leaves. It is said that stevia leaf extract can be 30 times sweeter than granulated table sugar. Since the body doesn't metabolize the glycosides from the leaves, it obtains no calories from Stevia. NOW Foods offers a zero-calorie natural sweetener called BetterStevia that's a great alternative to table sugar and artificial sweeteners. NOW Foods' stevia is grown in organic certified fields in central eastern China. 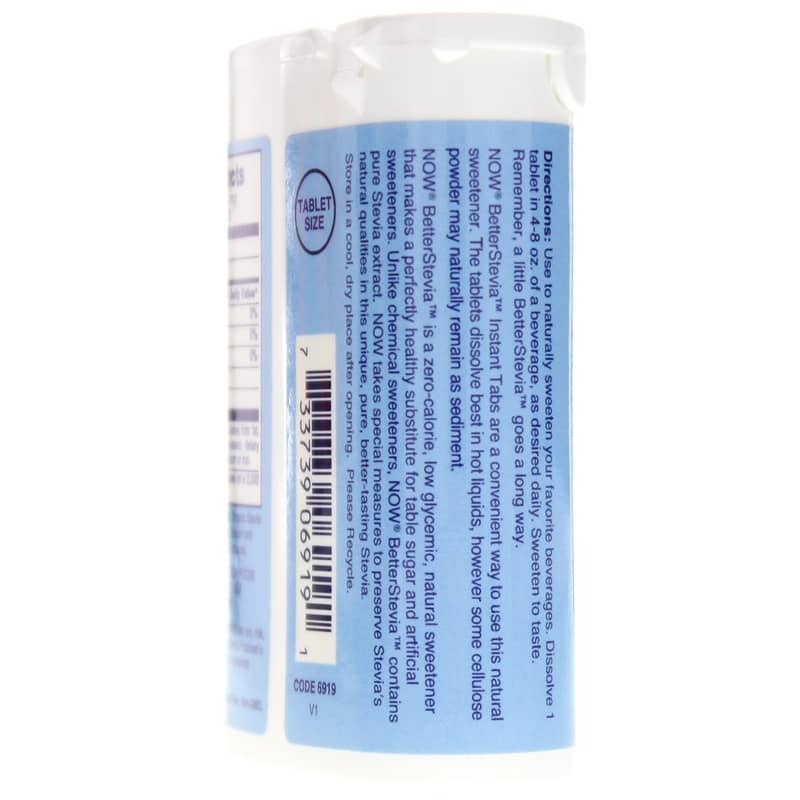 Fumigants, irradiation, pesticides, other solvents and sulfur dioxide are not used throughout the growing cycle of this stevia. 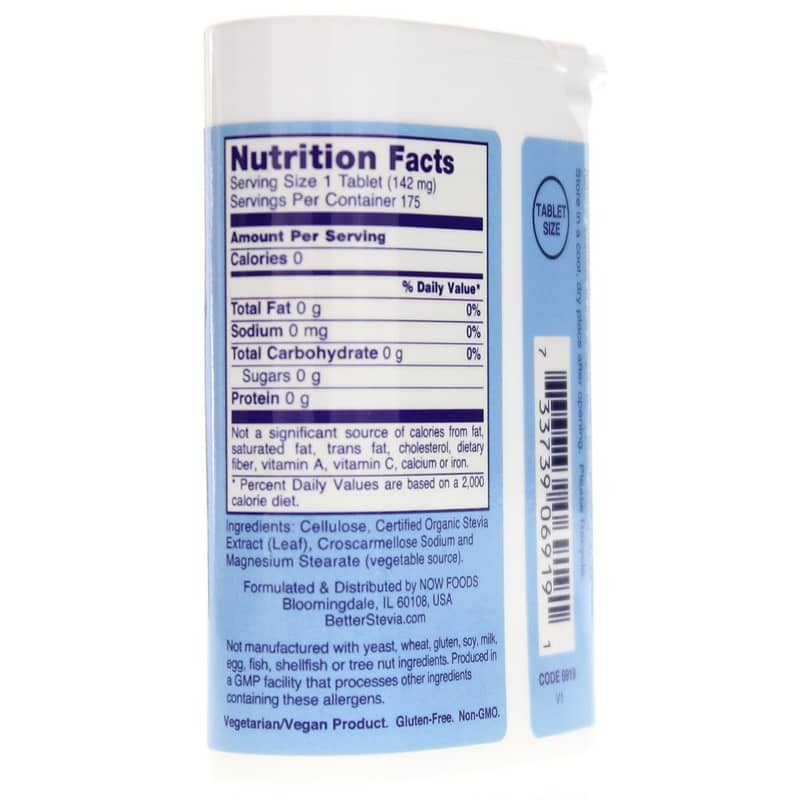 Better Stevia is not manufactured with egg, fish, gluten, milk, shellfish, soy, tree nut, wheat or yeast ingredients. 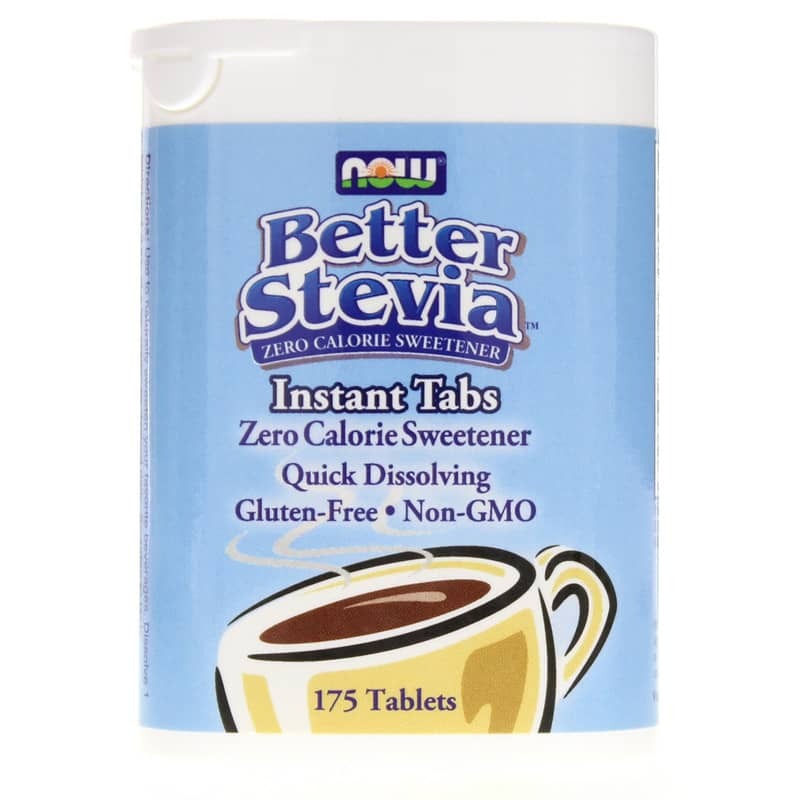 If you're looking for a zero-calorie natural sweetener, check into NOW Foods' BetterStevia. Order online today! Remember, a little BetterStevia goes a long way. Use to naturally sweeten your favorite beverages. Dissolve 1 tablet in 4-8 oz. of a beverage, as desired daily. Sweeten to taste.